Visibility is very important in the marketing. If people don’t know about you, chances are people don’t look for you. This is certainly true for the apparel industry. As a global industry, where buyers located in one part of the world and suppliers in another, it is important to find a common place to meet both parties. Traditionally this gap was filled by trading offices and buying offices. However, now buyers increasingly prefer to work with manufacturers directly rather than pay for a 3rd party to get the job done as this is costly as well as risky. There are few reasons for this change of strategy. Most buyers such as Lululemon, Gap understand that it is much cheaper to buy from the manufacturers directly. Often trading houses and even buying offices act as cost centers and inflate the price. Another vital reason is, most buyers prefer to have a better control over the manufacturing process. They want to ensure manufacturers follow all the compliance, guidelines, and processes. When 3rd party’s in the middle, the grip buyer has over manufacturer is bit too thin for their liking. Well, now we have a basic understanding why buyers think it’s important to connect with manufacturers direct. The next question is how to connect with manufacturers directly. Some big brands, of course, have their own network hence have the ability to link with previously known manufacturers. Also since they are cash rich, can afford to make trips to manufacturing destinations and visit factories. However, 80% of the buyers are small and medium scale hence do not have previous experience or even a budget to visit manufacturers in far away lands. So, majority of these buyers use trade shows as their platform to connect with manufacturers. Apparel trade shows are very poplar in the fashion world and there are many shows held around the world. To get access and present your products, manufacturers have to buy a stall spending few thousand dollars. Let’s look at some of the popular apparel trade shows in the world. The biggest apparel trade show in the western world is called Magic Show, Las Vegas. This is held twice a year. Other big and important shows include, TexWorld, NY-USA, Premier Vision, NY/ Paris and L.A. Textile show. In Europe, Textile Fair- London, Interfilier, Paris and Milano Unica, Milan. Obviously, these are just a few of the shows among hundreds of shows held annually. As explained before, attending to selected trade shows give a massive exposure to the company. However, it is important to make necessary preparations prior to attending to ensure maximum exposure and value for money & time. As mentioned before, there are many trade shows around the world. It’s no point attending to any show. You need to understand each trade shows focus, type of buyers it attracts and more importantly its relevance to your company. For an example, if your company have a strong presence in UK market, it may be more productive to focus on trade shows in other European countries. For an example it’s a good strategy for Sri Lankan manufacturers to focus on Italian and German shows to take the advantage of newly received GSP+ status as UK is now out of European Union. Similarly, if your company is heavily depending on European buyers and prefer to have a presence in North America, then it is important to focus on shows in USA. Also, please note that certain shows famous for certain products. Hence please do the homework to ensure you're attending the correct show to ensure company participating in the correct trade event. It is very important that you put a team together at least 3 months prior to the show. There are many important areas to think before attending the show. One of the first step is to get a comprehensive understanding of the market your planning to tap in to. For an example, if your attending Magic Show Las Vegas in February 2018, then you know most buyers coming to look for collections for autumn/ Winter 2018. You need to have a team researching the colours/ designs as well as fabrics and trims which would be in demand. If you don’t have access to buyers’ market, means to visit fashion shows and events, it is important to conduct an online research, buy latest magazines and watch fashion TV. It is important to put together a collection of samples specifically made for the show. Most companies tend to take few samples they did for famous brands in the past or most colorful items they have in the showroom. 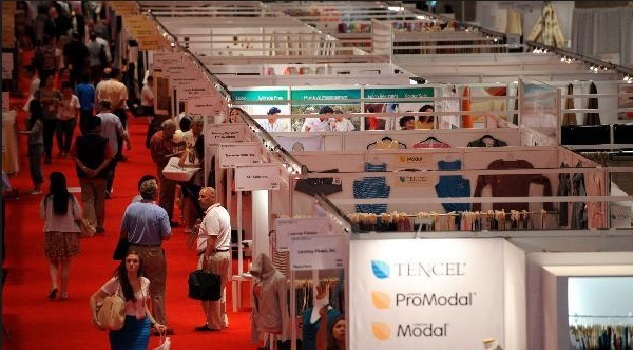 Majority of the buyers visit the trade shows as a part of their research hence chances are they have already visited few fashion shows and attended workshops on upcoming trends so their looking for manufacturers who have similar handwriting. If you have already done some research and took a collection close to what buyers looking for, chances are your getting better attention from buyers than your competitors. Another important area is branding. On a trade show many buyers walk past your stall. Trick is to slow them down and get them to talk to you for few minutes. Having a well thought after branding will help to get the buyers interested. For an example, if your company has Leed Platinum certification, it’s good to display it. Having an attractive slogan, Maps, images goes a long way. However, these things don’t materialize last minute. Well thought after plan is needed. It is very important to identify the individuals who are representing the company in the trade event. Often company is represented by the CEO, a director or sometimes CEO’s whole family. This is a big NO NO. Trade shows are not a family holiday or a chance to meet other CEOs. Its a business/ marketing event which determine the future of the company. hence well motivated, fully trained and qualified staff is very important. On a trade show, you have only couple of minutes to engage in a conversation with a potential buyer. Otherwise you lose many other buyers who are passing by you. most buyers do not hang around until you finish a conversation with another buyer to ask about your company. So you need to understand each buyer's expectations, introduce you company and its products and how to get in touch in future within few minutes. This needs a good amount of training and product knowledge. It is important to keep a tab on spending. It is always good to go as a team instead of going solo. Most trade shows, manufacturers are grouped together and divided by the country. By having few companies participating at the same time will help to reduce the cost of branding, traveling and getting group discounts. If you’re a pant manufacturer, it is good to pair up with a shirt manufacturer or a knit manufacturer with a woven manufacturer. The idea is you can divide the cost of the stall between the 2 companies. Also, can have the opportunity to offer a complete package to buyers. Further, when traveling and taking samples, you have more opportunity to carry more samples if go as a team. Charm Rammandala is the founder & CEO of IStrategy USA. He counts over two decades in fashion supply chain in diverse roles as Lean Manager and Model himself. He is an expert in rolling out programs in Lean apparel manufacturing and Sustainable labour costing. His former positions included being the first Lean Technologist at George Sourcing Services UK Ltd. Tips to get maximum from an apparel trade show.